Just a quick note to say that, apparently, I am a magnet for unfinished projects. I don’t mind, though. Let me tell you why. 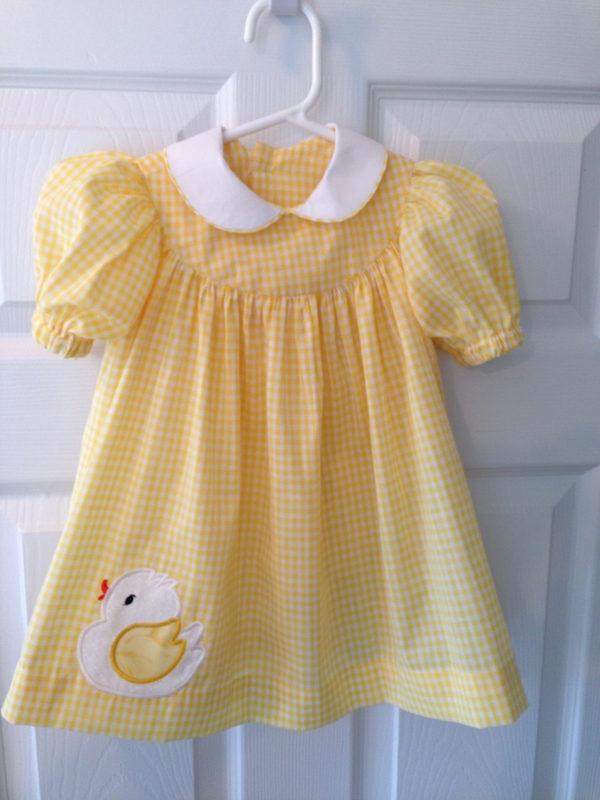 My mother-in-law is in a Bible study with a woman who was “de-stashing” patterns recently, and I am the very grateful recipient of about 15 children’s clothing patterns from the 1960’s to the 1980’s. 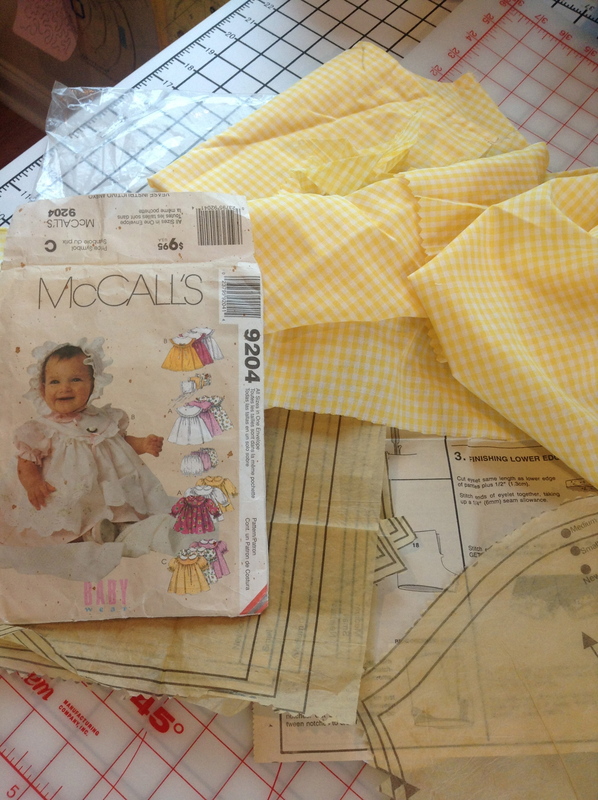 Three of these patterns even came with fabrics that had been cut out, but never assembled. There is something about delving into a half finished project done by someone else and figuring out where they were in the process, what they were trying to do, and why. It is so interesting to see how someone else does something so simple as, say, cutting out the pattern (this lady used pinking shears). She was random about the notches she cut, leaving some sticking out, and cutting v’s for others (I cut a single snip in my notches for reference). Anyway, there is a sense of accomplishment one gets from completing one’s own project, but the feeling is even more gratifying (at least to me) when I am able to do the detective work and finish a project that I did not start. I have finished one of the three dresses and here are the results of my (and her) efforts. Oh, and here is the latest preemie gown. So sad that this is a burial gown, but happy to know that it will give a nice vision to the parents of their only moment with their baby girl. 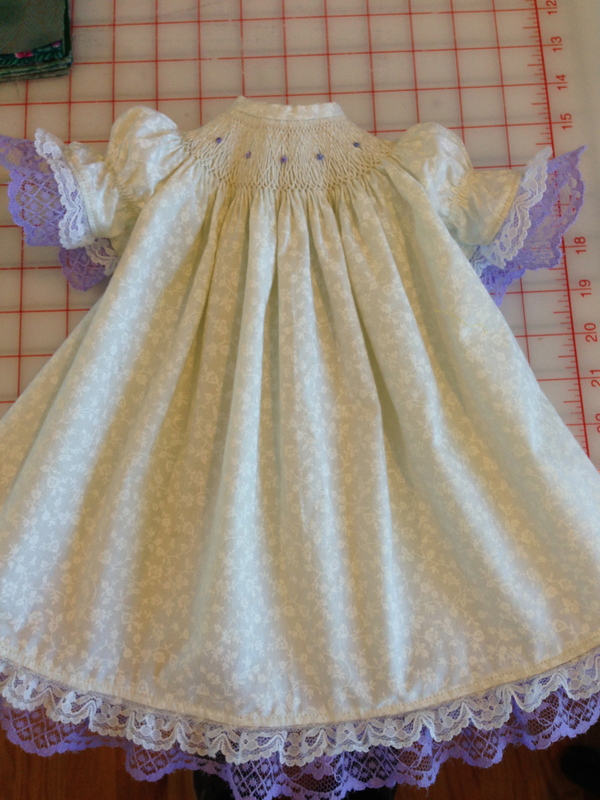 The preemie gown is absolutely beautiful! Such a wonderful thing to give for such a terrible time for the parents of God’s littlest angels. Your unfinished dress is so sweet. Did the original “strarter” include the duckie or did you do that on your impressive machine? So cute!! How exciting to receive those patterns and be able to work on them. Fun!